Want to be No.1 in Google? Check out our Award Winning SEO packages. It involves analysis of your website address, link structure, coding, navigation bar and your website's content. This part also includes analyzing your high ranking 5 competitors on the main search engines and generating a comparative report. We do extensive research by various tools and actual search data to keep keywords matching your investment. Factors, for example targeting customers, geographic positions and your business's characters are kept in mind while selecting keywords. The keyword research report would be sent for your review and approval. The key point is on pages' content optimization through keywords combining, anchor texts and interlinking. Web pages would be specifically optimized in line with the various themes of each page or section on your website. Code is just like the 'life support system' of the internet websites. Our SEO consultants analyze the codes and help you re-write your webpage's title, description and keyword tags to ensure they are search engine friendly, search engine optimized and above all clickable. This part is to get smart links from content marketing which guarantee maximum value in complying with the variable search engine guidelines. All the links that we obtain are from a relevant and clean websites. We believe that a low Page Authority link from a relevant website is better than a one way link from a random one. We believe social networking has become a component of internet search. That's why, all our packages return integrated with a social part to stay your social accounts active and search results actually varied. From analysis and development to reportage and analysis, NiceNIC.NET provides customers with a full vary of reports that features monthly rank reports, intensive stand out sheets, PDFs, graphs on rankings, ranking trends, traffic flow, click rates, conversions and additional. 1.How long before I can see SEO results? Generally speaking, new web sites take longer than old websites to show up in ranking results. Once the campaign starts, we will provide you with an expected timeline based on technical site review and keyword research. New campaigns might take 5-6 months, while established sites may take 3-4 months to reveal improvements. 2.How will I get my SEO updates? Your will get an online project management system where your campaign(s) are created. Also, you can contact our tech team to help you check reports or updates. 3.Who will work on my SEO campaign? NiceNIC.NET has a team of experienced SEO professionals. We will assign you an account manager to take charge of your campaign and ensure your SEO campaign is on track. Our account manager would be in contact with you by Ticket, Email or Skype. 4.How will I know my SEO progress? We take daily, weekly activity updates as well as sending monthly ranking reports for all the keywords that we are working on. 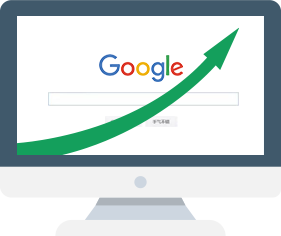 In addition, we also offer detailed traffic and website visiting reports to tell you how traffic source and conversions are improving. 5.Are NiceNIC SEO link building methods Google Penguin safe? Yes, they are. We use a wide variety of anchor text which will be a mix of synonyms, plural/singular forms, combine keywords, brand only, whole sentences etc for all submissions. This prevents from over-optimizing anchor texts and creates a natural anchor text distribution. 6.Do I need to do anything extra to comply with changing search engine guidelines? No, it's all taken care by us. Our packages, processes and quality standards are constantly updated as per the latest changes in algorithms. From the link partners to the list of article directories, we review everything from time to time.